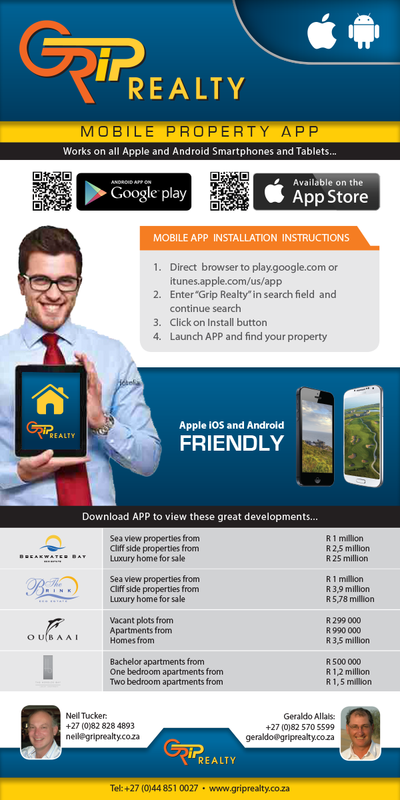 GRIP REALTY lauched it's Mobile APP in January 2014. This APP is great for those people on the road in the Garden Route. They can search properties on the run. Estates covered include: Oubaai Golf Estate, The Brink Eco Estate, Breakwater Bay Eco Estate and The Heroldsbay luxury apartments.